Emmanuel Oladipo was born to the Adeleye family of Oke-Odan in the Yewa South Local Government Area of Ogun State on the 21st of December, 1957. He attended Egbado (now Yewa) College, llaro and the A.U.D. Teacher’s Training College, Otta, Ogun State between 1971-1975 and 1976-1977 respectively. He then proceeded to the Ogun State College of Education, ljebu-Ode (now Tai Solarin College of Education) between 1978 and 1981 after which he obtained a Bachelor of Science degree in Education/Physical Education as well as an M.Ed in Educational Administration at the University of Lagos, Akoka, Lagos in 1988 and 1990 respectively. Mr. Adeleye’s working experience spanned several years beginning from his mandatory National Youth Service in Rivers State in 1982. Thereafter, he started with the Ogun State Government in 1982 as a class teacher and rose to the position of Acting Vice Principal after which he moved to his current employment with Moshood Abiola Polytechnic, Abeokuta – the employment of which he joined in 1993 on transfer of service. 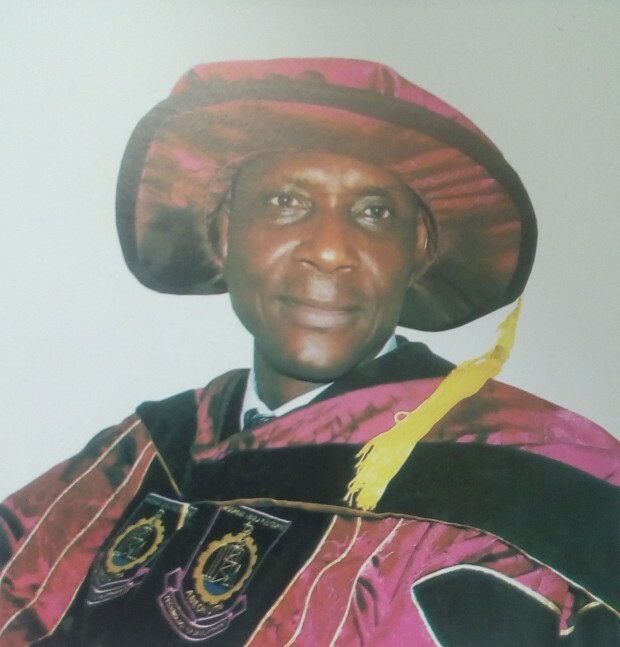 Mr. Emmanuel Oladipo Adeleye has served the Polytechnic in various capacities, including: Coordinator/Head of Establishment Office and as Secretary to Ad-Hoc Committees of the Polytechnic; some of which are: Senior Staff Disciplinary Committee (1993-1996. ), Tenders’ Opening Committee (1993- 1996) amongst others. He was also scribe to the Appointments, Promotions and Disciplinary Committee, Selection Board, Finance and General Purpose Committee, Agricultural Committee and Planning & Development Committee of various Councils. He has worked in the Establishment, Students’ Affairs, Academics and Council Affairs Departments, divisions and Units. Emmanuel Adeleye is a member of professional bodies and associations among which are: The Institute of Strategic Human Resource Management, Nigeria where he is a Fellow and Nigerian Institute of Management (NIM) chartered. He served as the Acting Registrar of the Institution between December, 2013 and May, 2015 and became substantive Registrar and Secretary to the Governing Council on 5th May, 2015, the position he holds till date.